One of the region's premier Portland wedding venues. Decadent world-class dining. Every detail executed flawlessly. Picture perfect. Your wedding to the Nines. Host your wedding or social event at the Embassy Suite Portland Downtown and enjoy first-class full-service catering and service, all provided by our experienced on-site team. 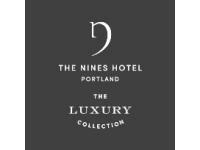 Our hotel is a classically styled American Renaissance hotel in Downtown Portland. Your wedding. Your day. 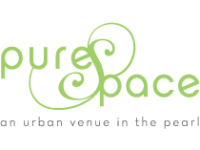 Beautiful, wedding venue to fit your dream, whether you’ve invited 10 people or 800. Our event space allows us the ability to provide just the “perfect size” room to host smaller, or larger wedding receptions. Elegant or casual, timeless or eclectic, intimate or extravagant, whatever your style, Abernethy Center will help you create your perfect wedding. Our team of professionals will turn your unique vision into the celebration you’ve always dreamed of – an event your guests will always remember. We will work to design an event proposal that’s tailored just for you. 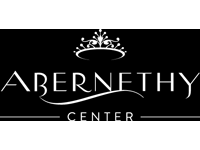 Abernethy Center is a full service event facility with the goal of making your event as seamless and stress free as possible. Located at the edge of the Pearl District nestled near the Willamette River, this 1929 warehouse was home to the makers of yellow strand rope used in the original Portland Street Car. In 2007, it was painstakingly restored to its original glory and today serves as one of Portland's most awarded venue spaces. The grand 5,640 sq. ft. Bellmont Ballroom features 16-foot ceilings, beautifully decorated awnings and crystal chandeliers, complemented by warm colors and elegant appointments. The private foyer opens onto a charming outdoor patio. 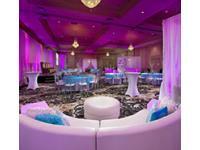 Featuring 5,000 square feet of versatile event space for celebrating with family and friends. 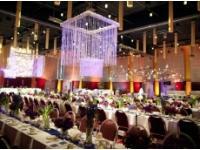 Located in scenic Lake Oswego, our hotel offers beautiful indoor and outdoor wedding venues in south Portland, Oregon, including the grand Plaza Ballroom. Enhance your weddings and rehearsal dinners with creative catering and seasonal Pacific Northwest cuisine. Whether you envision a gala banquet or an intimate ceremony, our event planners will help coordinate the details, including the menus, decorations and group accommodations. Set against the backdrop of Portland’s North Pearl District, the wedding site is modern, yet elegant, featuring high ceilings, natural light and a fully customizable space that can be transformed to achieve your unique vision.